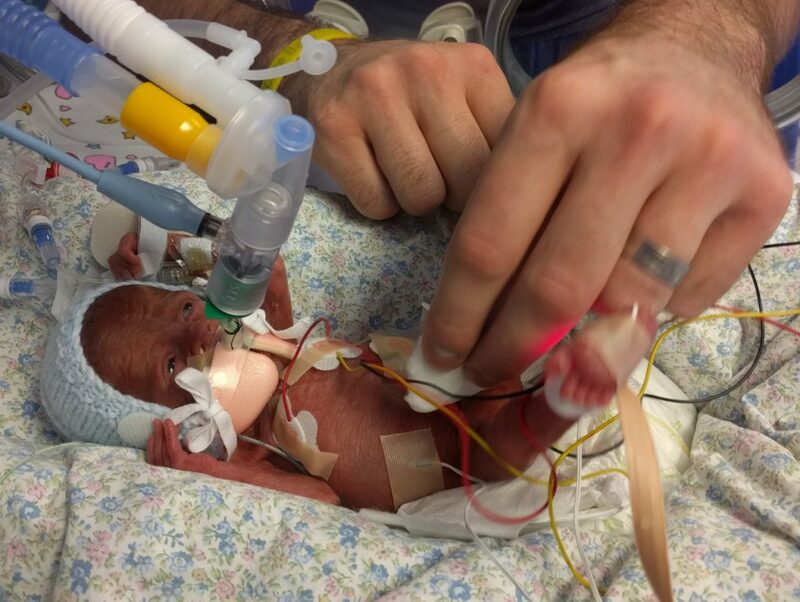 When your baby is first admitted to the NICU you will no doubt feel quite powerless as a parent. Depending on the prematurity of your baby you may not even be able to touch them yet. Henry was about as premature as they come and for the first few days all we were able to do was stare at him, we could hardly see his face either as he was wearing a mask due to the phototherapy lights. So if this is the case you may ask yourself, what can I do for my baby? No matter what the circumstances there is always one thing you can do that brings a sense of normality and that is to read. Read to your baby, this is a normal thing to do, right? Of course, and not only that but it gives you some small interaction with your child, it lets them know you are there and it gets them used to your voice, something they would have heard a lot in utero, it may not seem like it but they will know you are there. We read Henry a bedtime story every night while he was in hospital and often read fairy tales during the day too, a tradition we have continued since arriving home. If your baby is born really early like ours some things will have to be left to the professionals at first but it won’t be long until you are changing your first nappy. Despite Henry’s prematurity we only had to wait five days for this privilege and we were guided expertly through the process by the lovely nurse looking after him that day. From then on you will be able to do this on a daily basis. Other contact you will be able to have once your baby is stable enough is hand holding and comfort holds, also known as a containment hold, this is when you firmly cup the babies head with one hand and place the other over their abdomen or legs (or bottom if they are laying on their front), holding babies in this way mimics the feeling of containment they had in the womb and often helps calm them if they become unsettled. 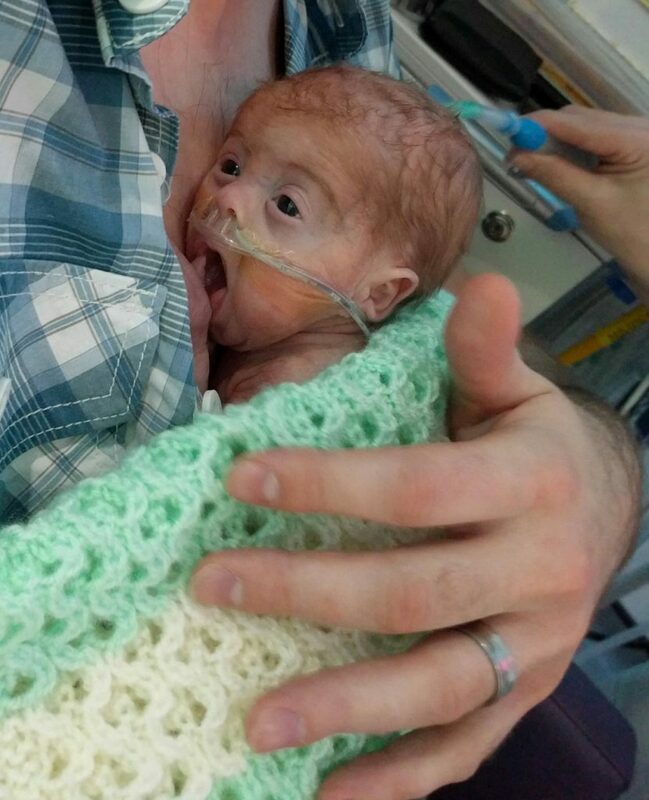 Once your baby is no longer ventilated you will be able to have Kangaroo Cuddles, this involves holding the baby upright on your chest, ideally skin-to-skin and is a wonderful bonding experience for both Mum and Dad. Around this time you will be able to buy clothes and dress your baby and a nurse will be able to show you how to top and tail, giving them a wash from head to toe using sterile water. Eventually, once your baby is maintaining their body temperature well and in a cot rather than an incubator you will be able to give them their first bath. With bathing it is best to wash their head first and dry it before bathing the rest of their body to ensure they don’t get too cold. It may seem like a long way down the road, but before you know it you will soon find that you are doing most of the care for your baby yourself and the hospital staff will soon be talking to you about rooming-in and going home.